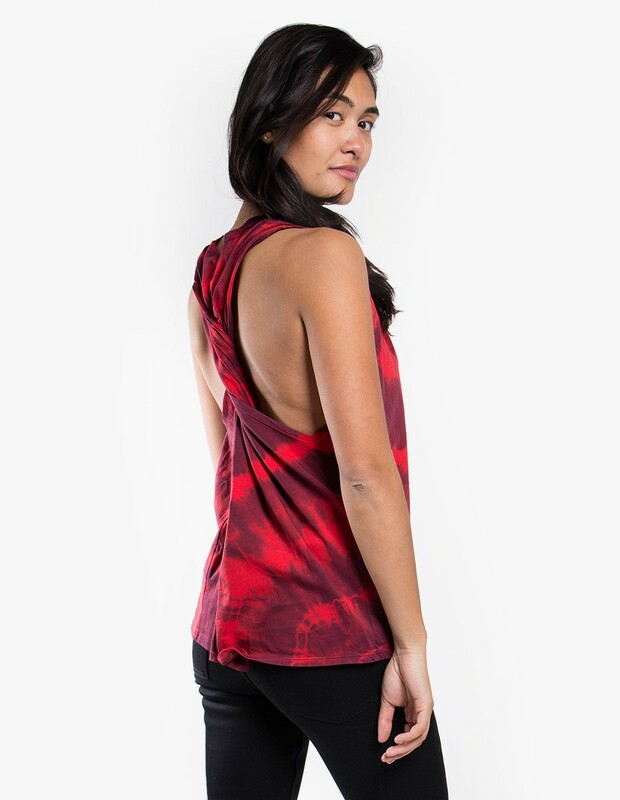 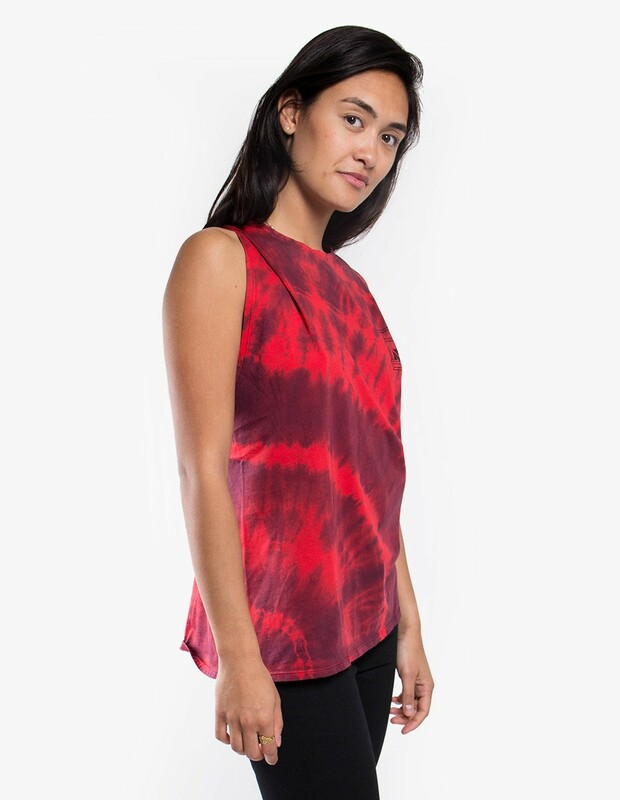 The Twisted Tie Dye Vest in Red/Navy designed by Aries Arise has that extra twist. 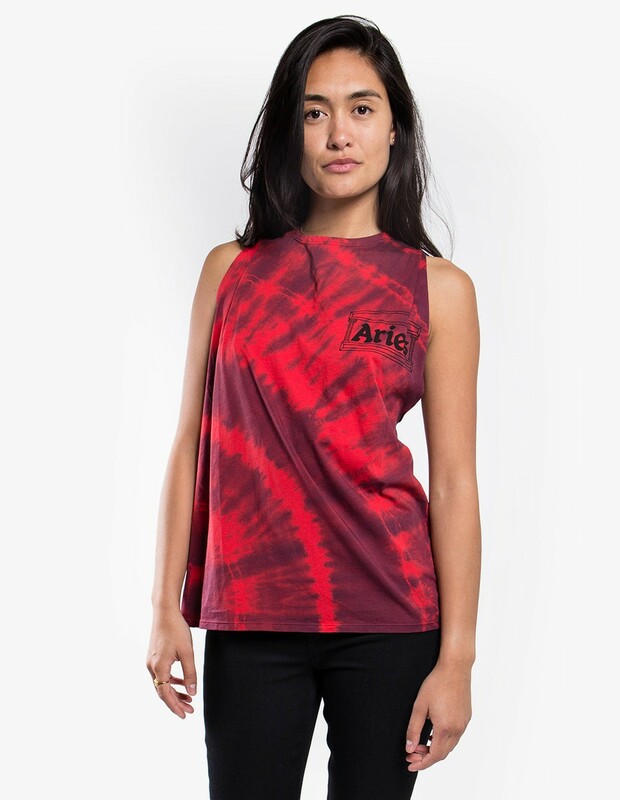 Sleeveless top with twisted back and small Aries signature print on chest. 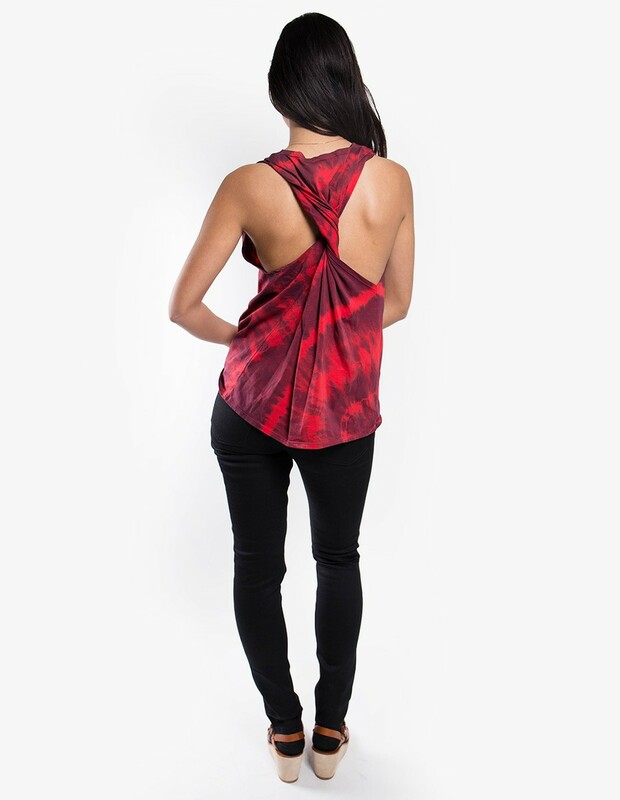 Rather relaxed fit.